Greg is an experienced people leader, facilitator, coach and innovation expert. He has a passion for unleashing the potential of people and cascading that through organisations and communities. Clients have described his facilitation style as inclusive, perceptive, witty and relaxed yet captivating – this allows him to take people on a powerful journey. His unique style combines story telling with NLP, and his vast corporate experience, to gently guide his audience toward transformational and practical insights. 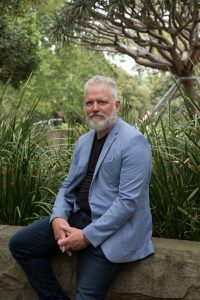 During his career he has held accountability for the design, development and delivery of training and change management projects in Australia and throughout the Asia Pacific Region. It is estimated that he has personally facilitated to a combined audience of over 45,000 people. He lead the Global Training Delivery team for a major bank implementing Advanced Facilitation techniques that redefined how training was delivered across multiple curriculum. After a successful career in Learning, Organisational Development & Human Resources, Greg was appointed to a range of Senior Management roles running a multi-billion dollar financial services business with leadership accountability over a number of years for 300 people, twenty-eight retail sites and more than 300,000 customers. During his tenure this businesses achieved record growth in sales, profitability, customer satisfaction, market-share and staff engagement. Greg has worked throughout Australia and internationally in Dubai, Singapore, Vietnam, China, India, Pakistan, New Zealand, The Philippines, Papua New Guinea and Fiji. He has collaborated across a broad range of industries and organisations including ANZ, ASG, Athena Software, CBA, Telstra, NAB, CPA Australia, Asialink, Hydro, ISGM, Computershare, Ducere, Edgelabs, Powercor, Holden, IBM, Royal Fiji Police, United Nations Development Program, State Bank of Vietnam, CSIRO, UTAS, Bank South Pacific, Canberra and Deakin Universities.